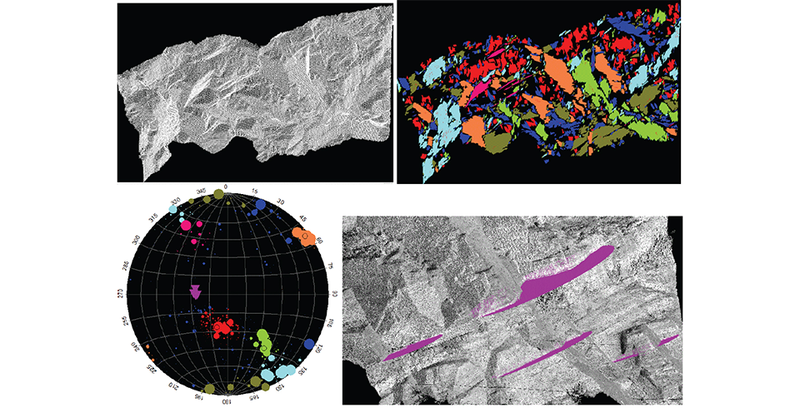 Cell Mapping and pre-rock blast conditions, including in-situ block size and joint spacing. 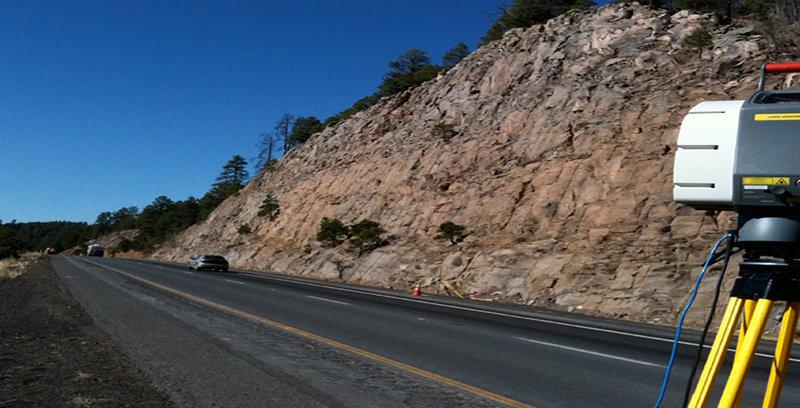 Cross sections analysis for slope instability, rockfall modeling and accurate measurement of burden. 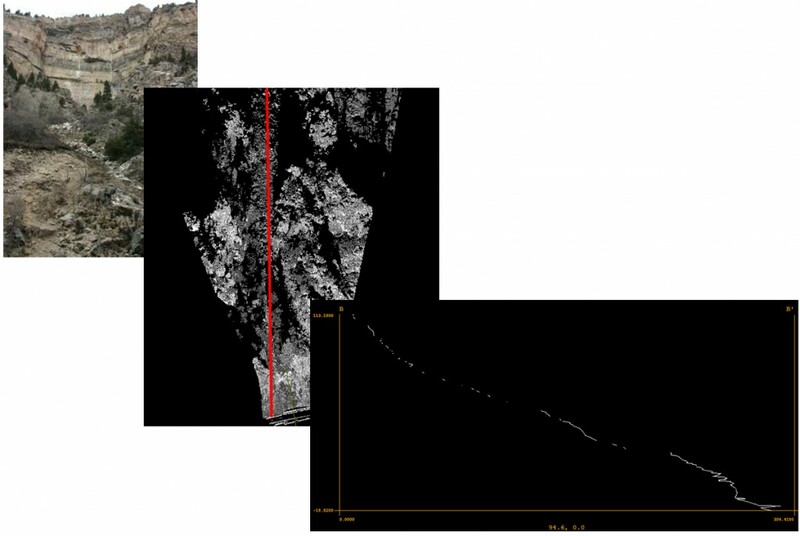 Change detection for rockfall and ground movement. 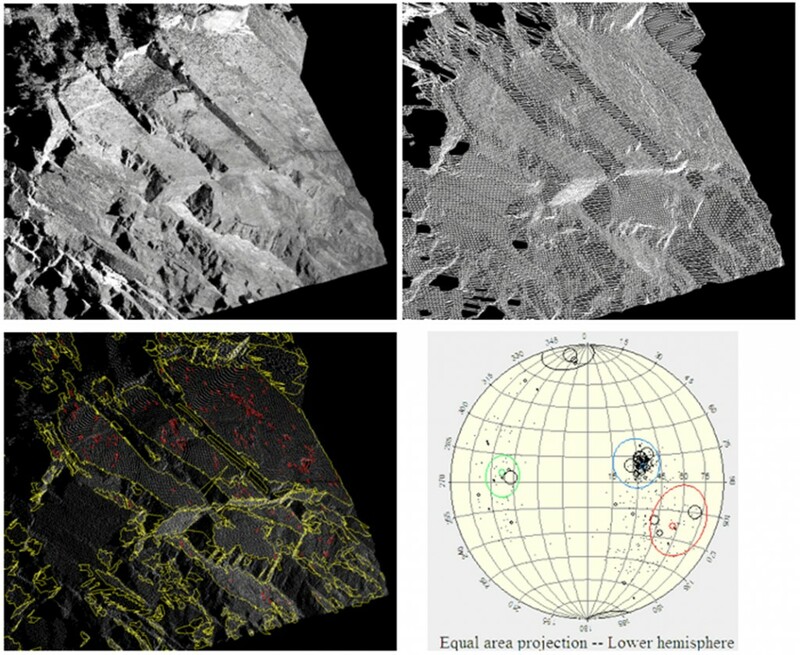 The results of a field survey can be automatically processed with the Split-FX software, resulting in three-dimensional information about the rock mass, including stereonets of fracture orientation and distributions of fracture size and roughness estimation. From start to finish, you can accurately characterize the fracturing at a field site in less time than it takes to make a few strike and dip measurements manually. 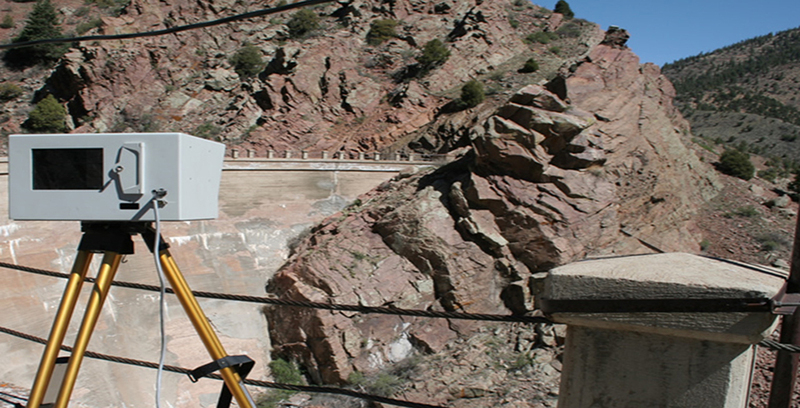 As opposed to traditional rock characterization where measurements on the face are required, LIDAR scanning and analysis can be conducted at significant distances from the rock face. 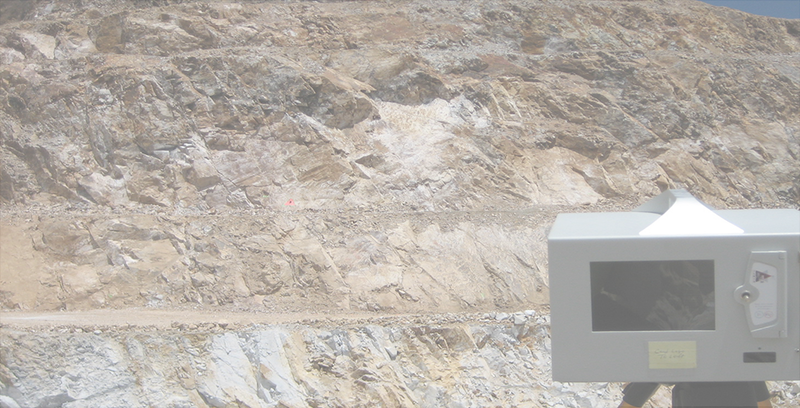 This allows rock mass characterization to be carried out in situations where access to the face is not possible due to safety or other concerns. 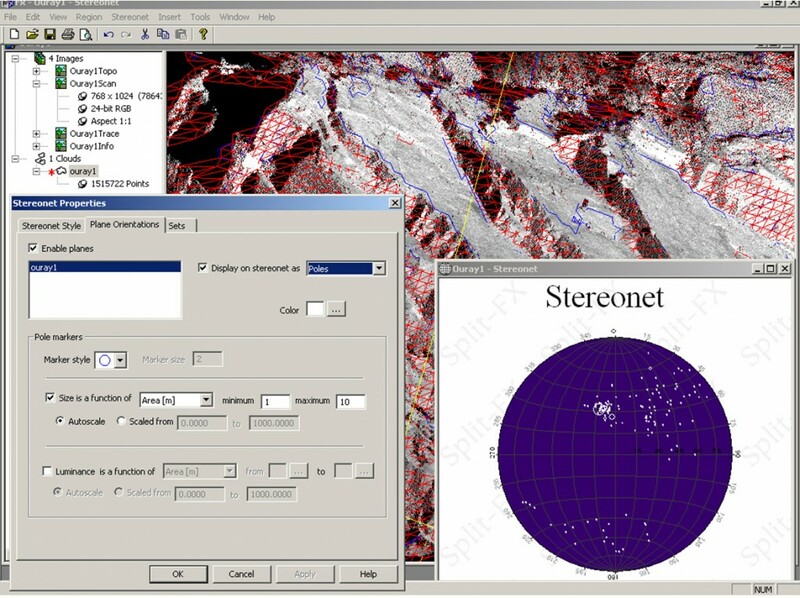 Also, the Split-FX software can produce a database of thousands of fractures for a rock site in less time than just a few fractures could be characterized using traditional techniques. 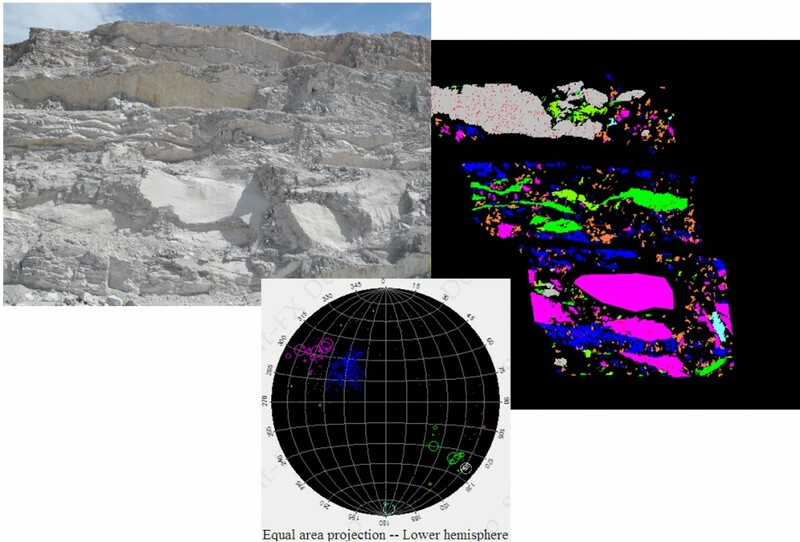 Finally, the Split-FX software eliminates human bias by automating the process of collecting and processing rock mass data. The software can view and edit point clouds, view digital images, create triangulated meshes, register point clouds and perform general point cloud measurements of distance, area and volume.